Renault Zoe 80kW Signature Nav R110 40kWh 5dr Auto 2019 Review | What Car? What Car? will save you at least £2,054, but our approved dealers could save you even more. 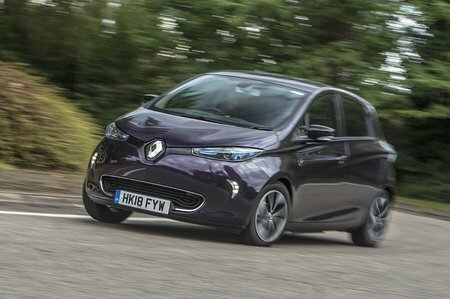 Lease the battery and the Renault Zoe is one of the most recommendable electric cars, thanks to its low price, healthy real-world range and fairly big boot. We'd go for the more powerful R110 version in Dynamique trim. Adds part-leather seats (heated in the front), a reversing camera and a Bose 3D sound system to everything you get on Dynamique Nav. There's quite a price jump, though. This is the electric motor of choice if you're buying a Zoe. Acceleration is surprisingly nippy around town and doesn't tail off as dramatically as it does in the less powerful Q90 above 40mph.